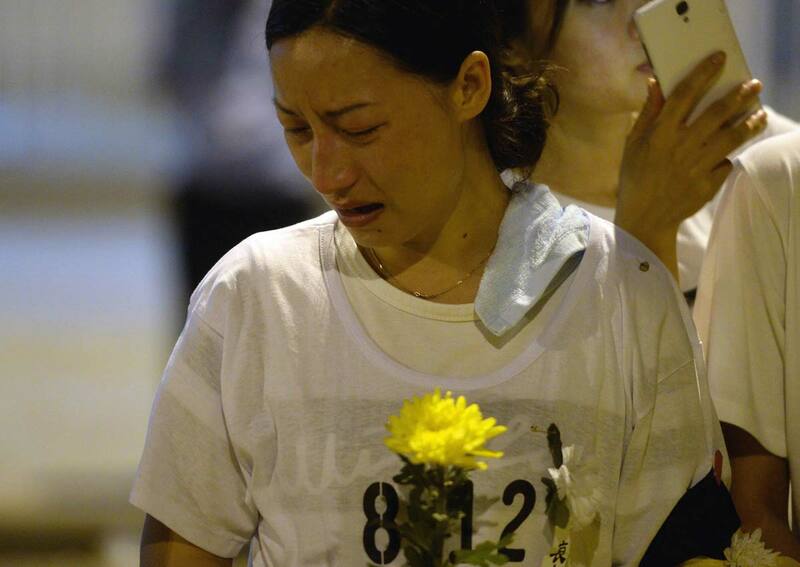 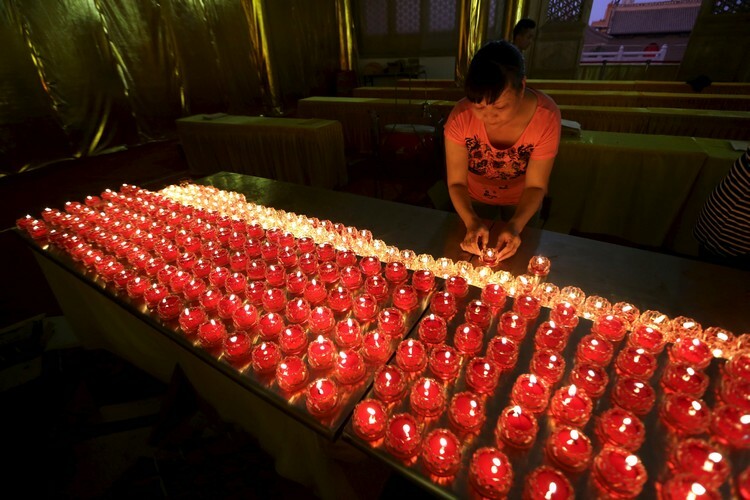 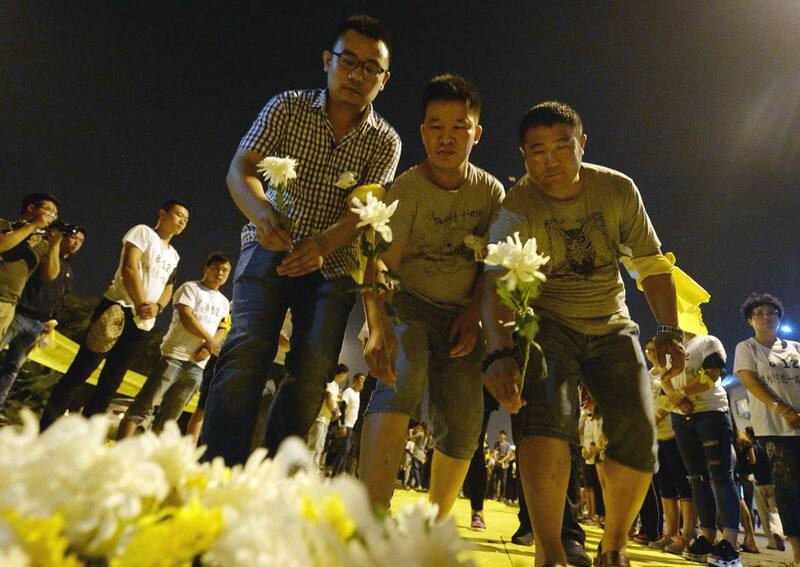 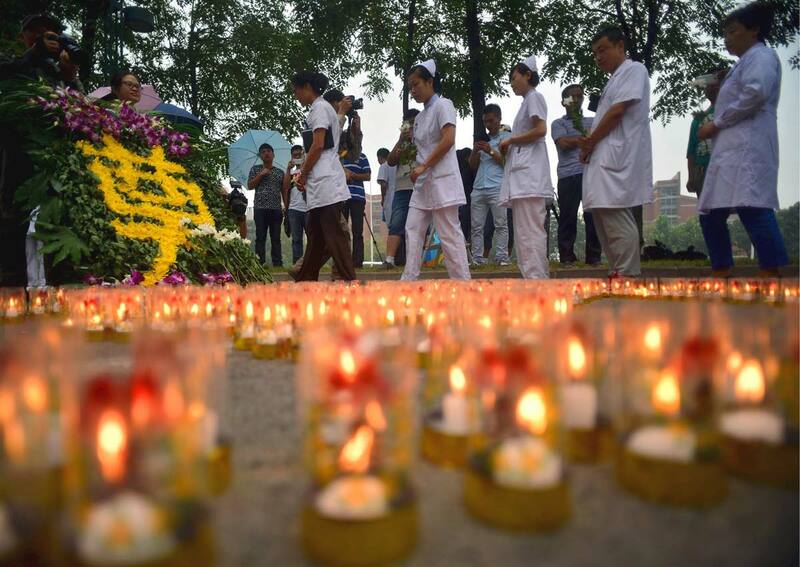 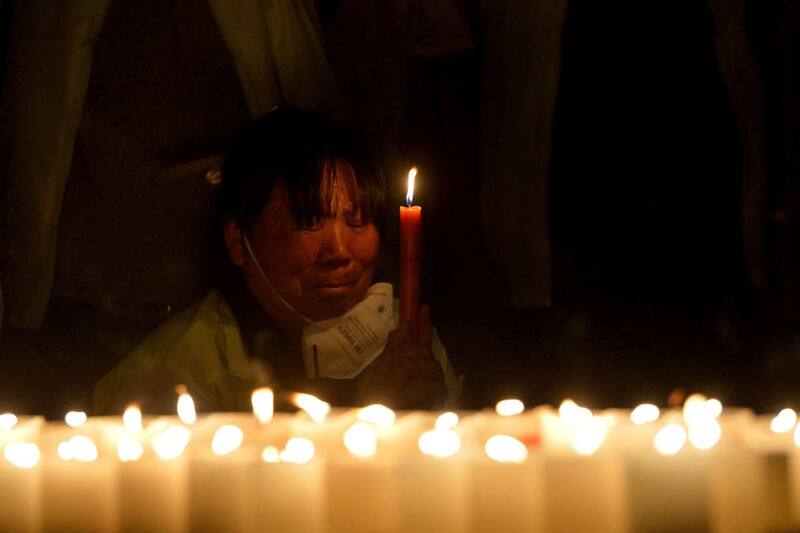 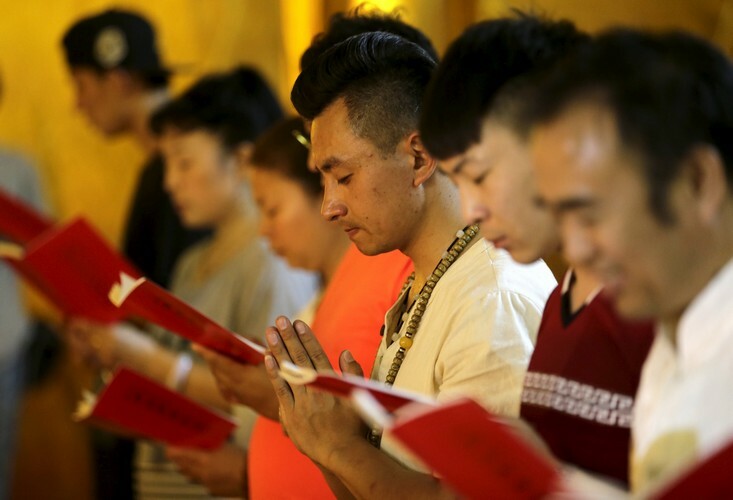 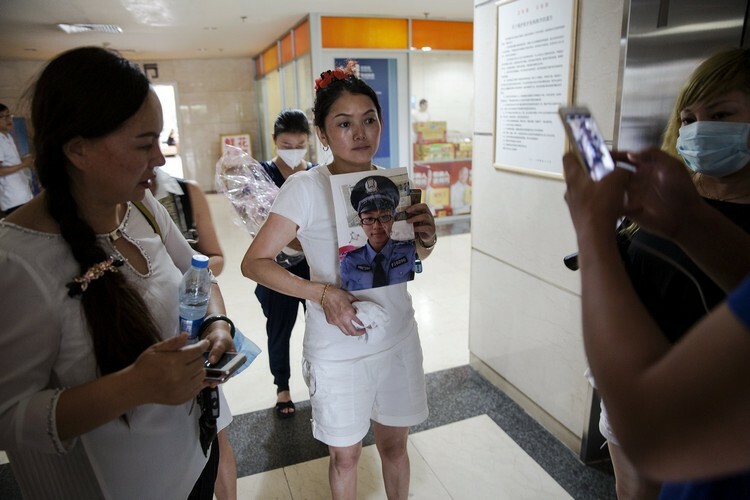 Chinese citizens mourning during a vigil for firefighters and soldiers killed during the explosions in Tianjin. 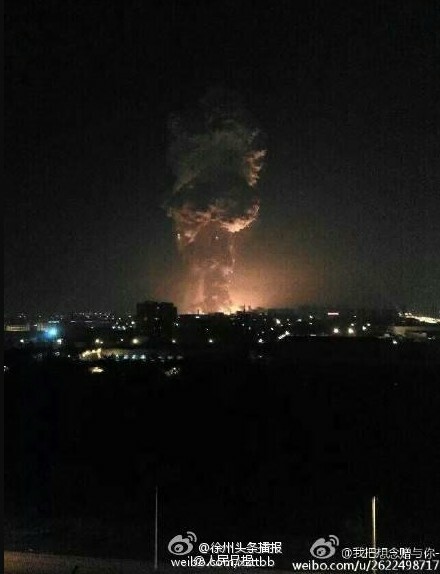 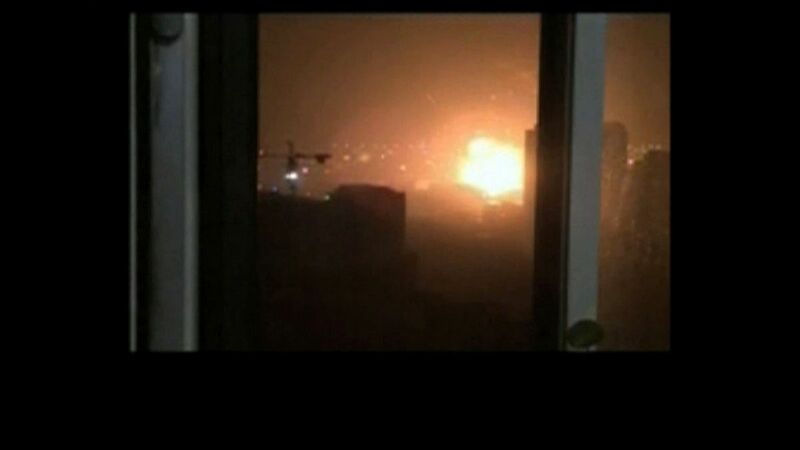 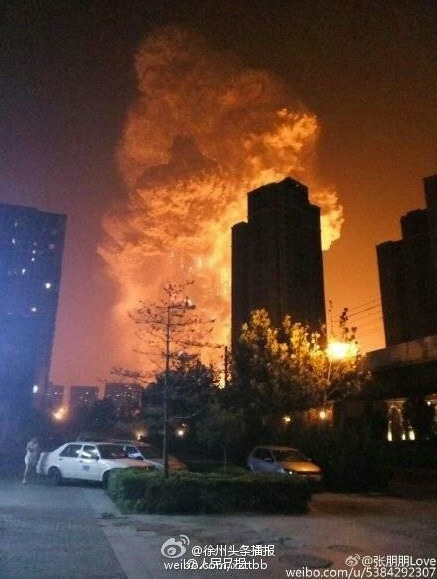 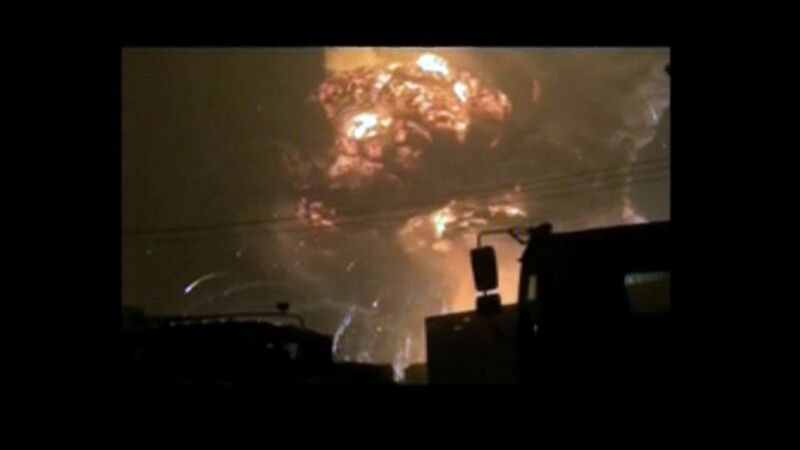 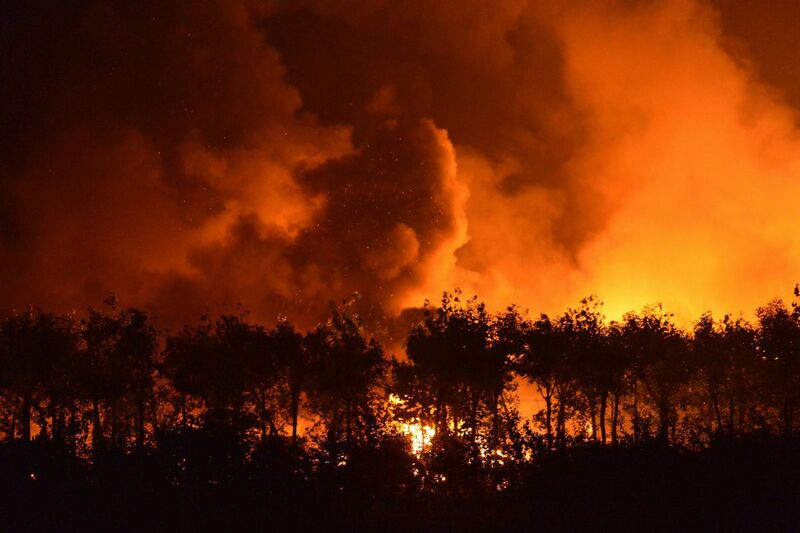 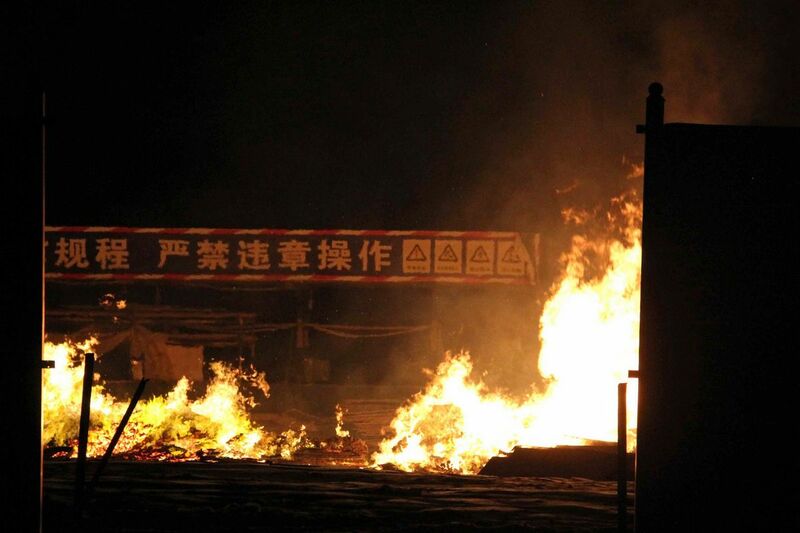 BEIJING - The owners of a Chinese hazardous goods storage facility at the centre of giant explosions -- including the son of a former police chief -- hid their stakes in the firm through friends, state media reported Wednesday. 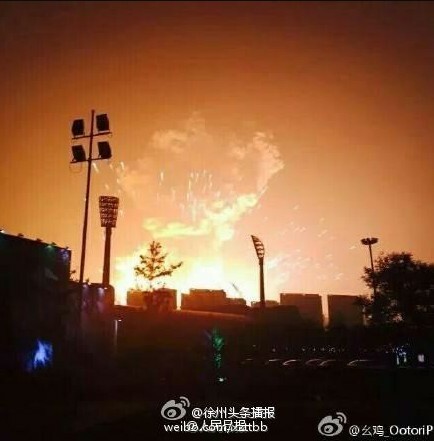 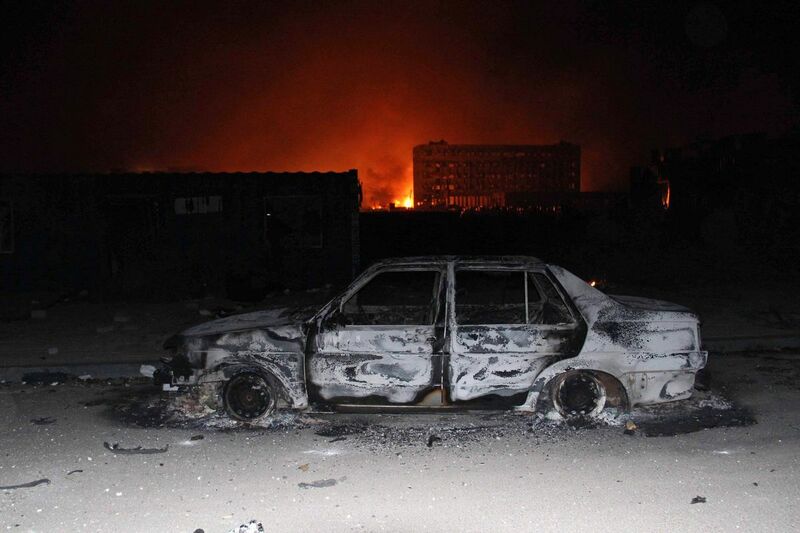 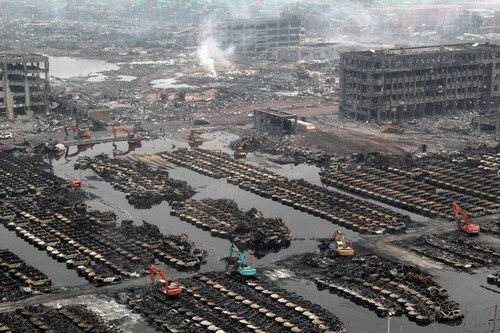 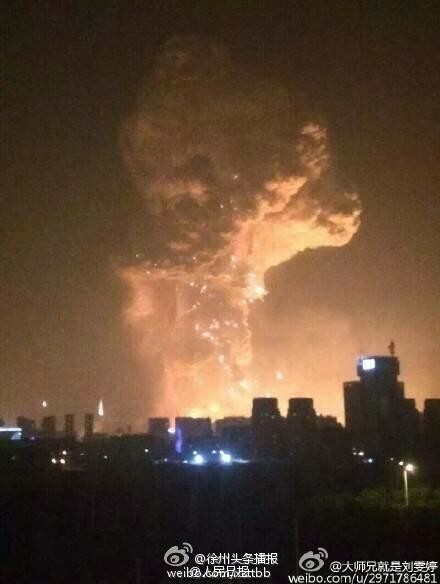 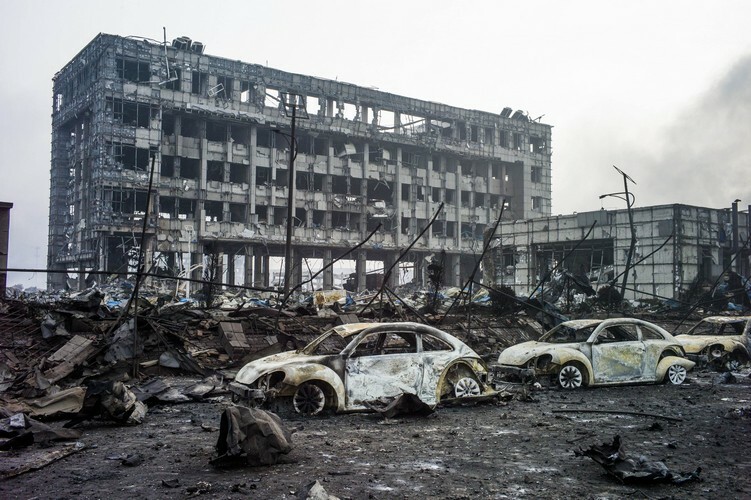 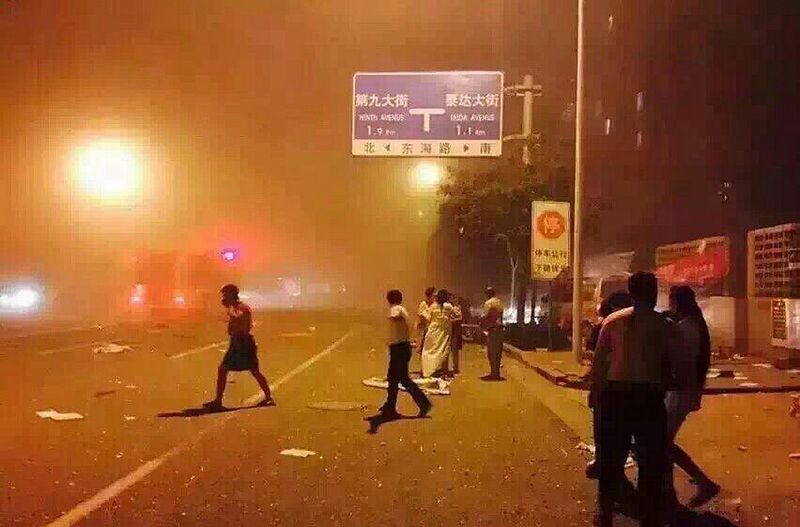 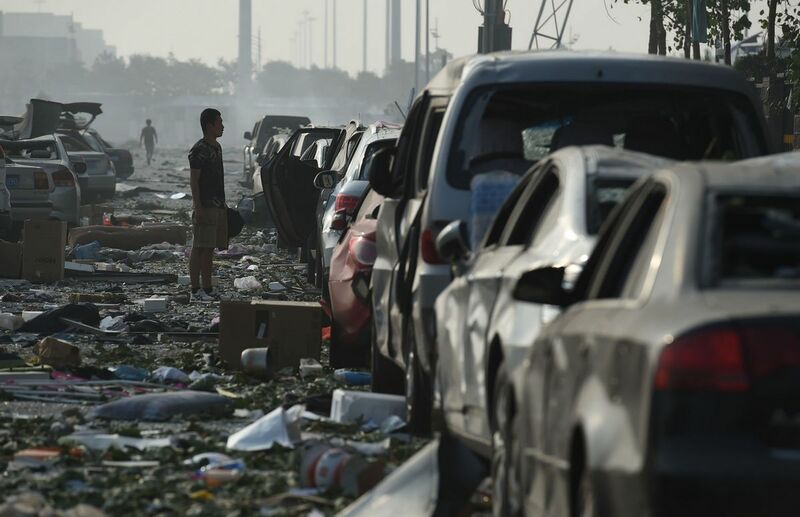 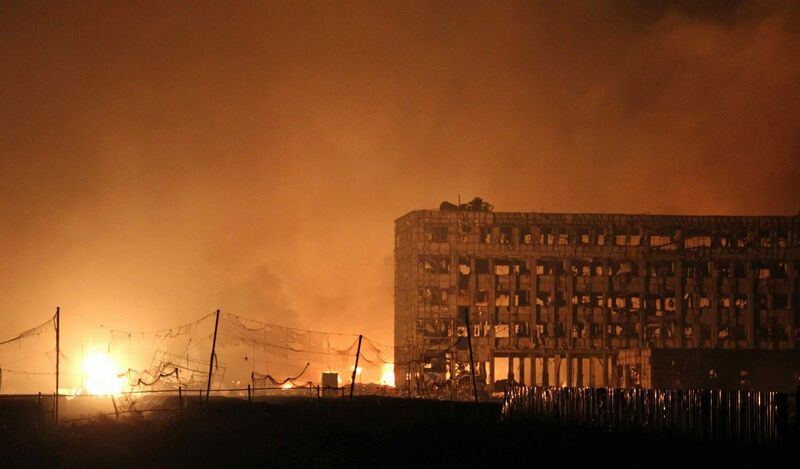 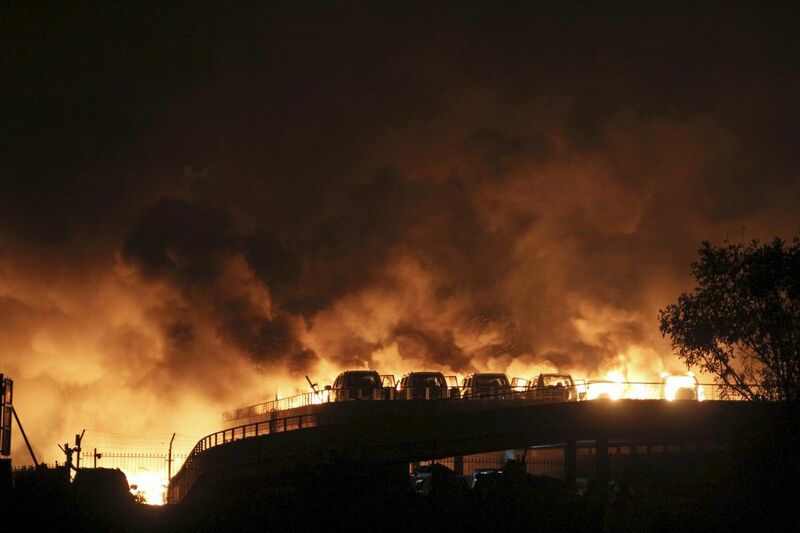 Ten executives from Tianjin Rui Hai International were detained after last week's blasts in the northern port of Tianjin, which triggered a giant fireball and killed at least 114 people. 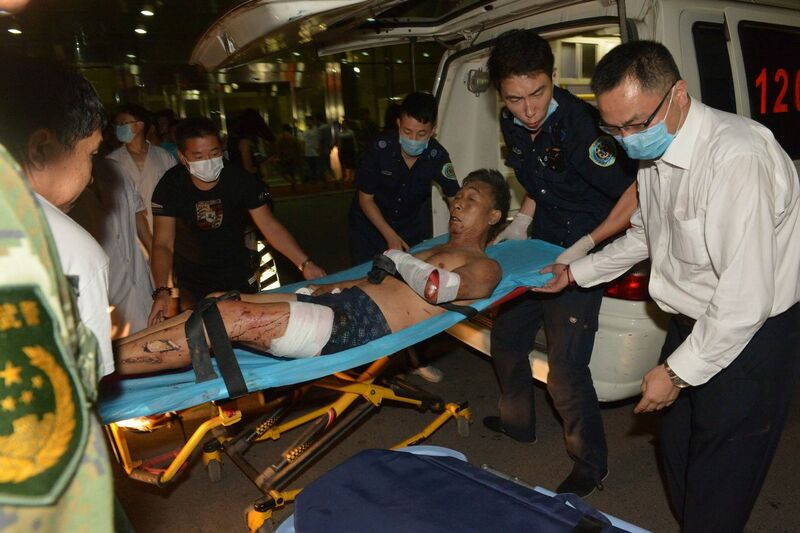 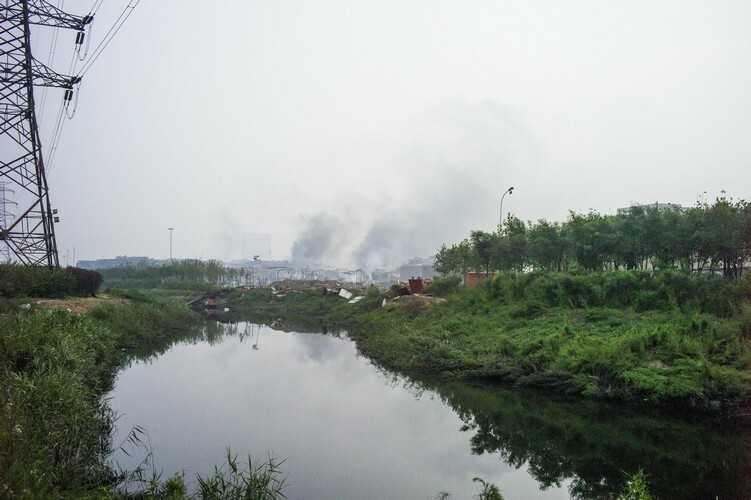 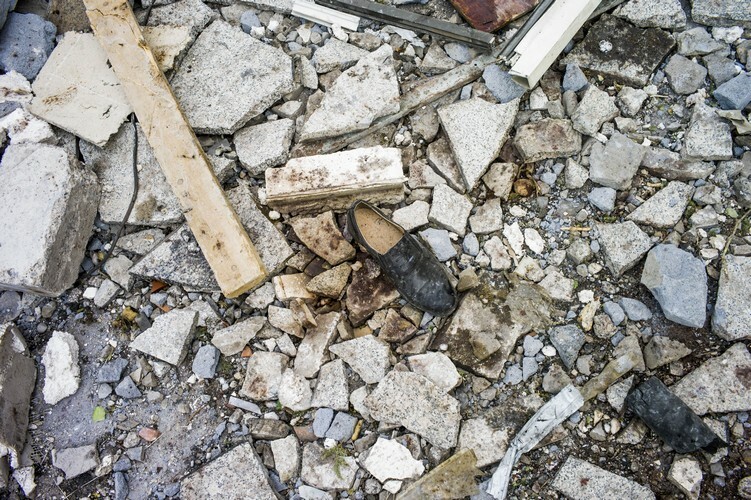 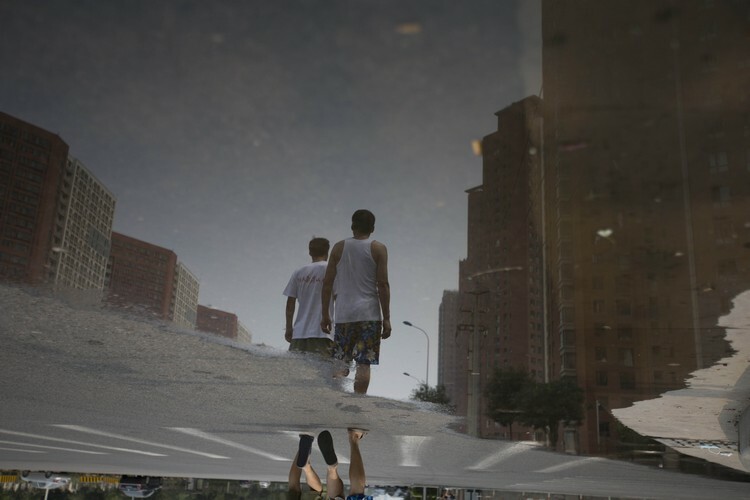 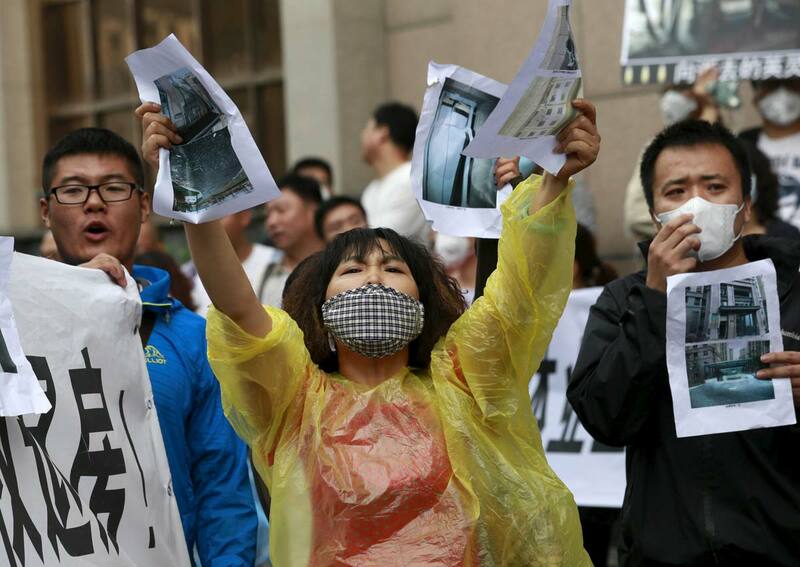 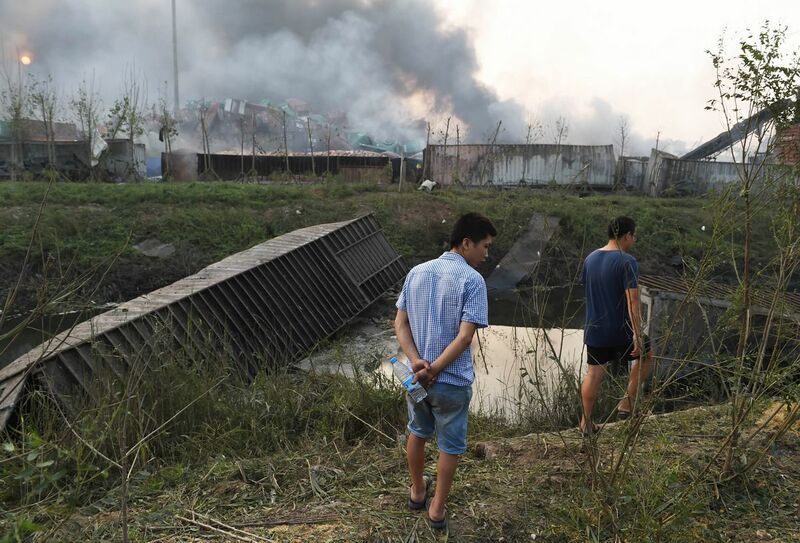 The blasts sparked fears of toxic pollutants in the city's air and water, though authorities have insisted both are safe. 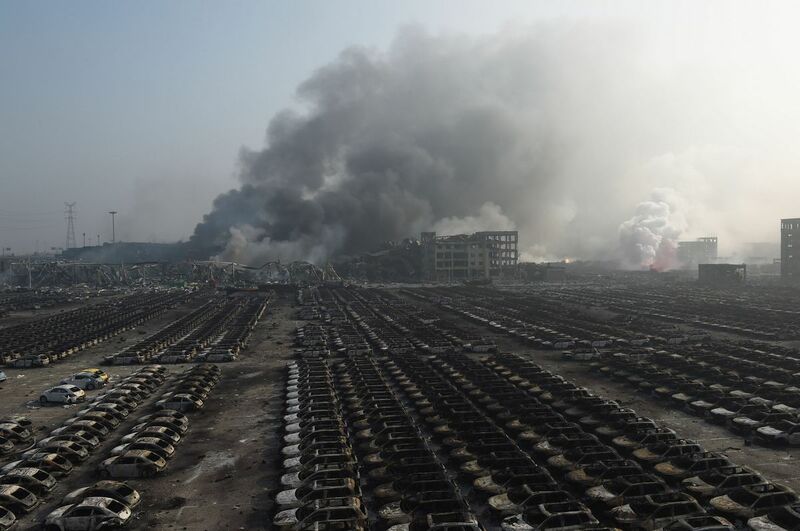 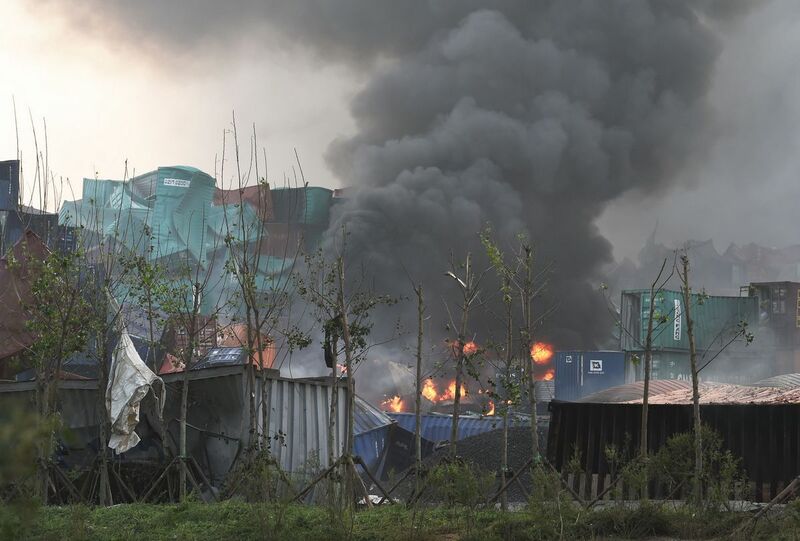 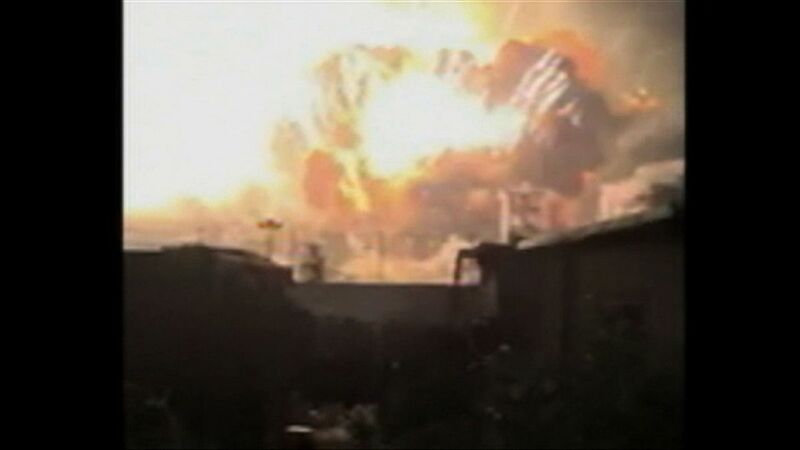 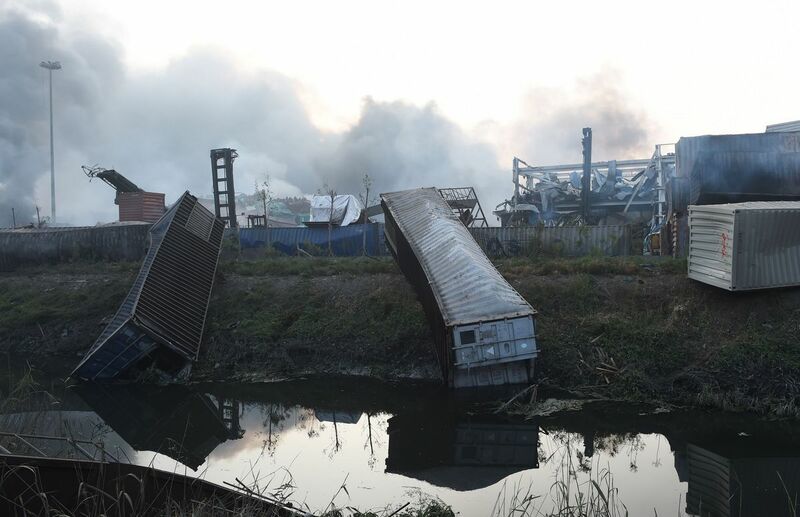 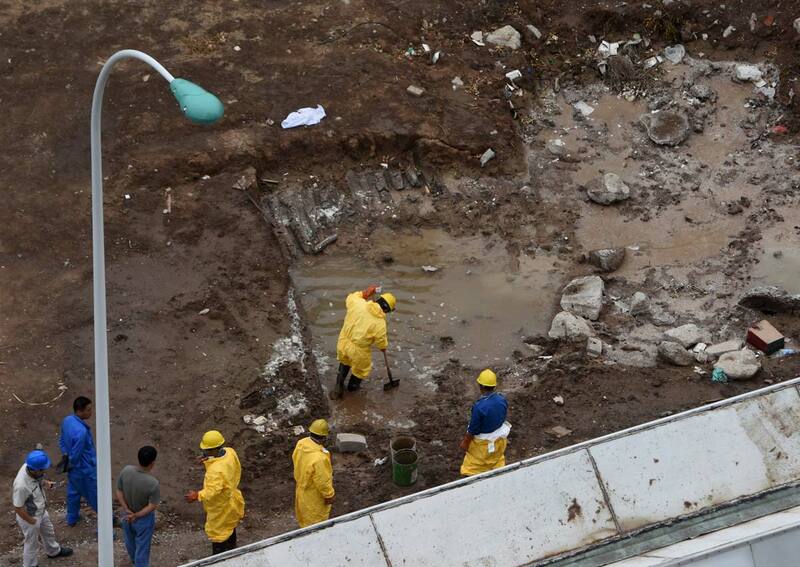 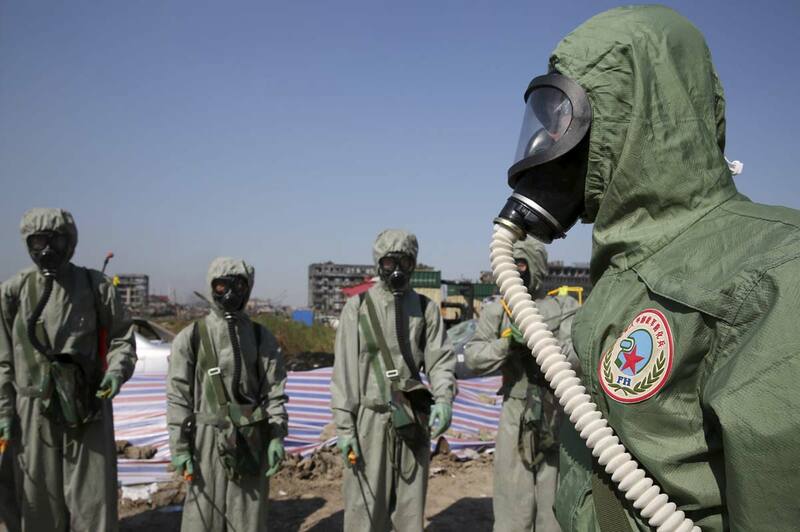 Around 700 tonnes of highly poisonous sodium cyanide were at the site, officials have said. 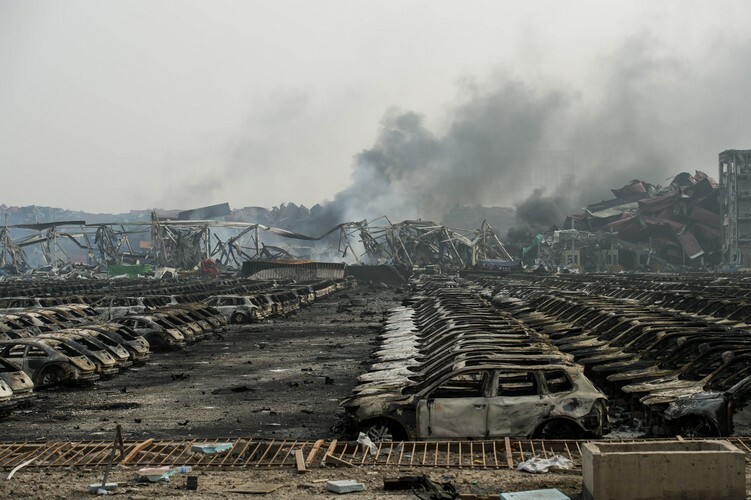 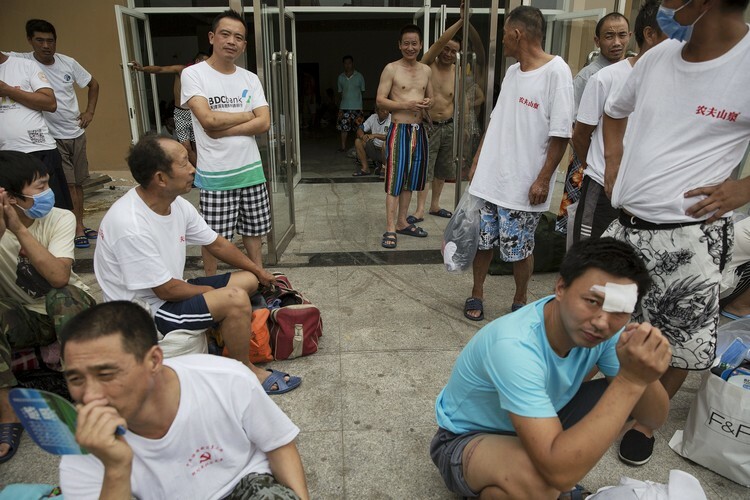 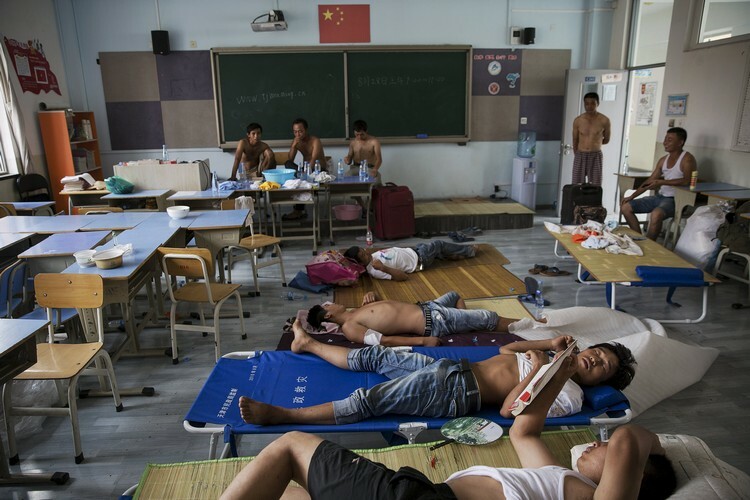 The official Xinhua news agency was given access to some of the suspects and quoted them extensively, as authorities try to pin blame for the disaster on local officials and individuals and head off wider criticism of China's one-party state. 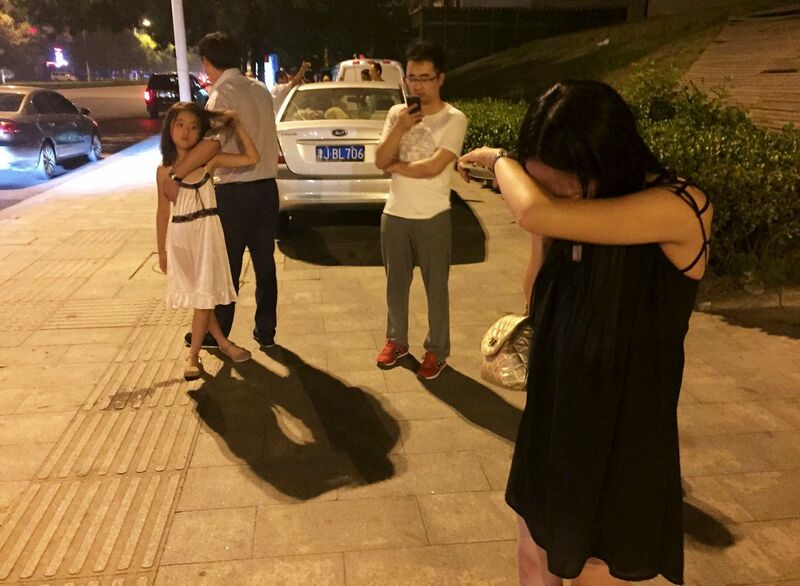 Dong Shexuan, 34, the son of the port's former police chief, owned 45 percent of Rui Hai through a schoolmate, Xinhua reported. 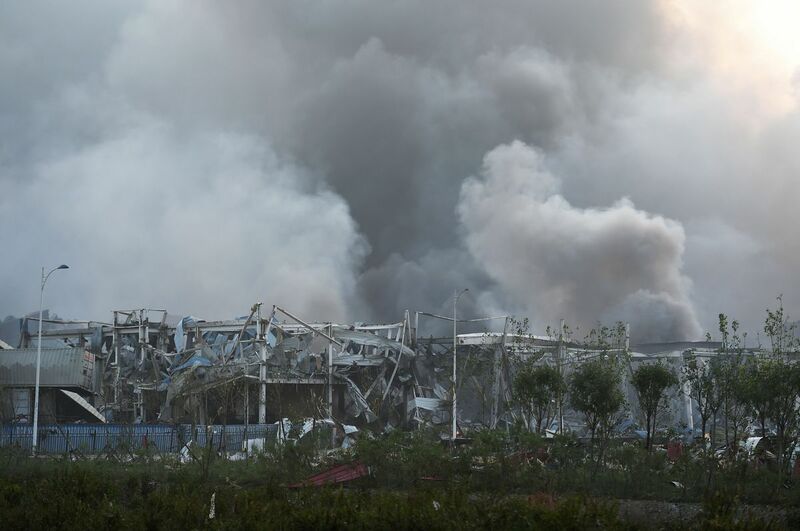 The rest was owned by Yu Xuewei, a former executive at state-owned chemical company Sinochem, but held in the name of a friend of his, it said. 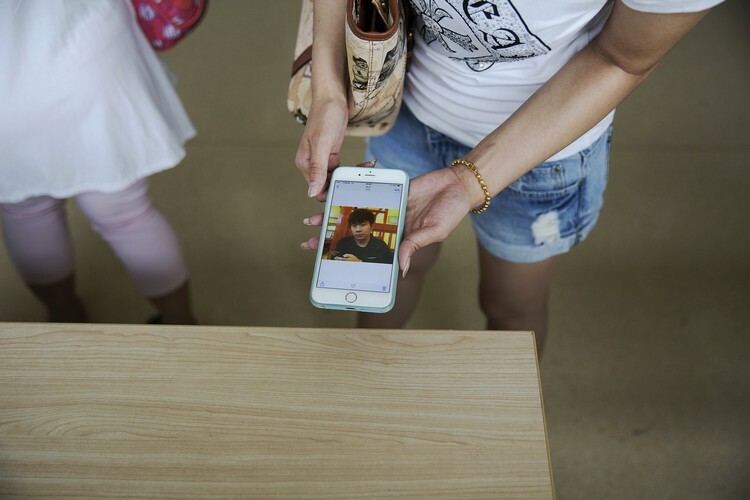 "I had my schoolmate hold shares for me because of my father," the official agency quoted Dong as saying. 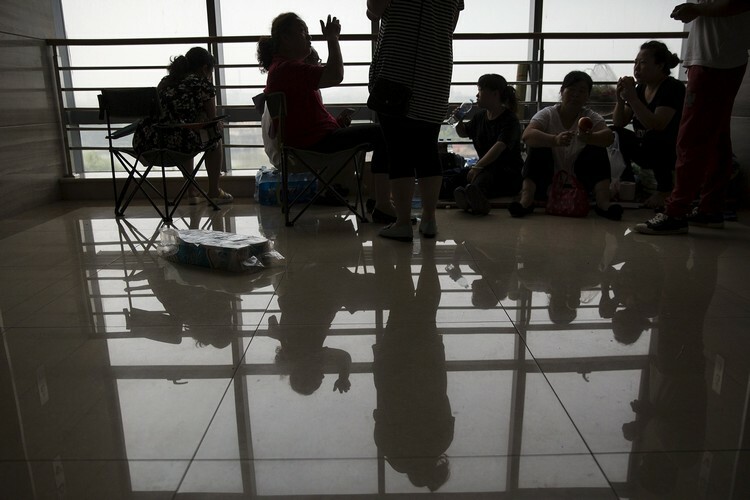 "If the news of me investing in a business leaked, it could have brought bad influence." 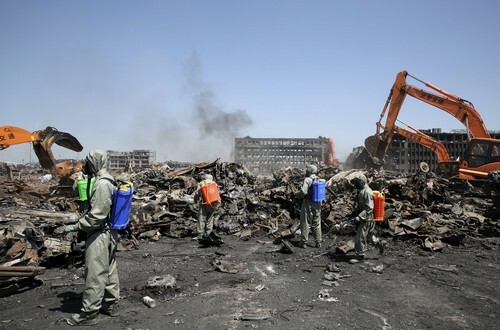 The head of a government team investigating the blast on Wednesday vowed to find the individuals and companies responsible. 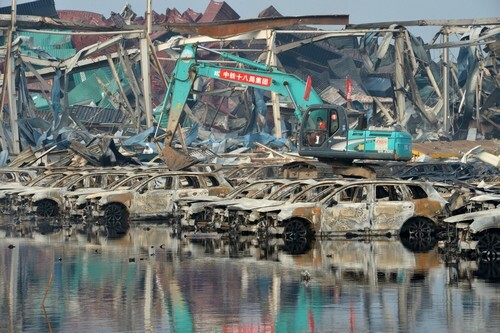 "No matter who, no matter what background they have, it must be investigated clearly," Yang Huanning, executive vice minister of public security, told state television. 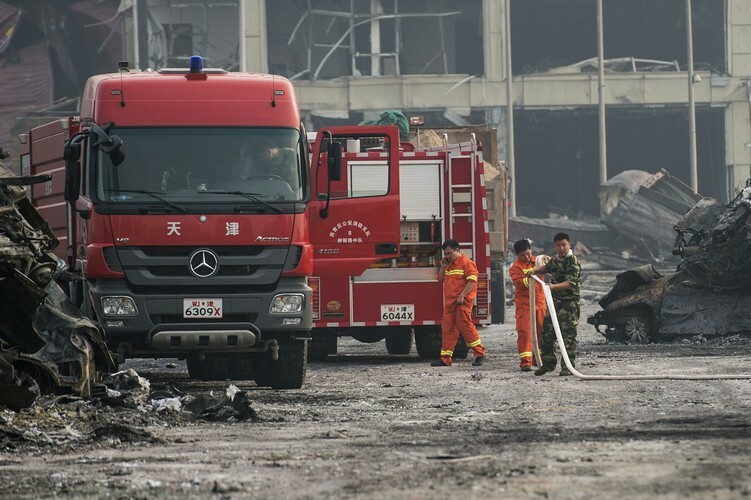 Dong used his connections in the police and fire departments to help the company obtain the necessary permits and pass inspections, Xinhua said. 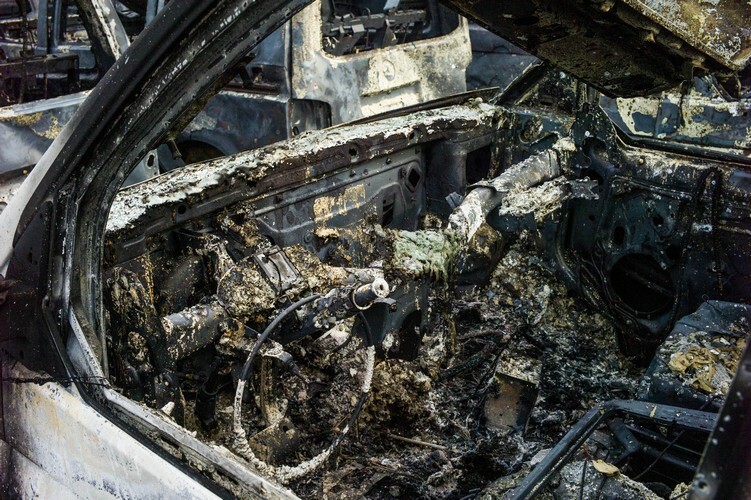 "My connections are in police and fire. 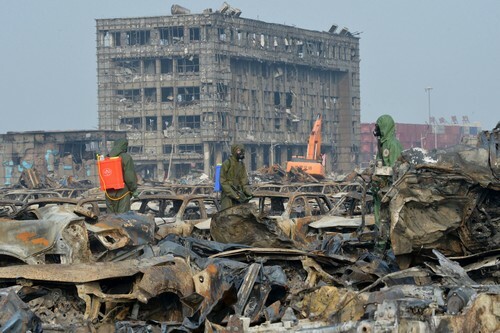 When we needed a fire inspection, I went to meet with officials at the Tianjin port fire squad. 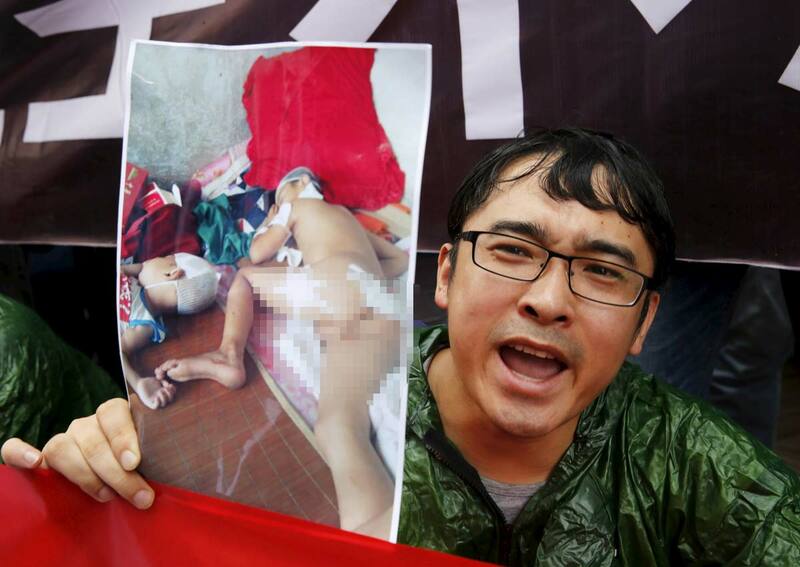 I gave them the files and soon they gave me the appraisal," Dong said, according to Xinhua. 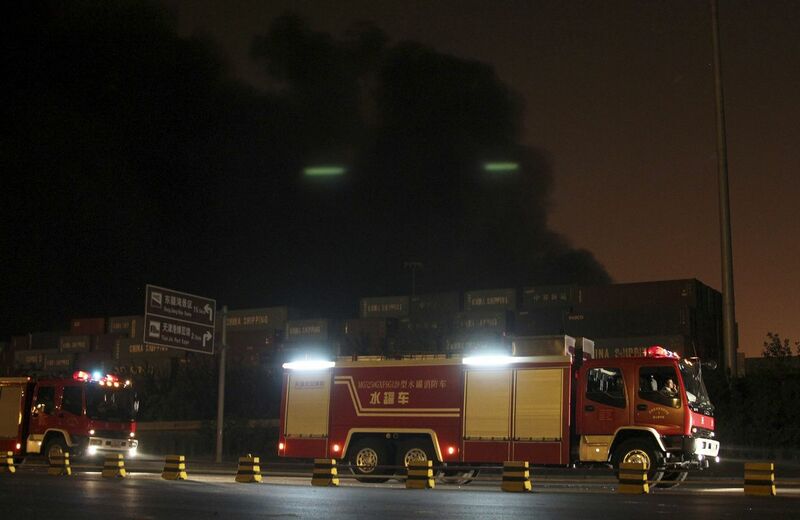 Tianjin Rui Hai International Logistics operated without a licence for nine months to June, Xinhua reported. 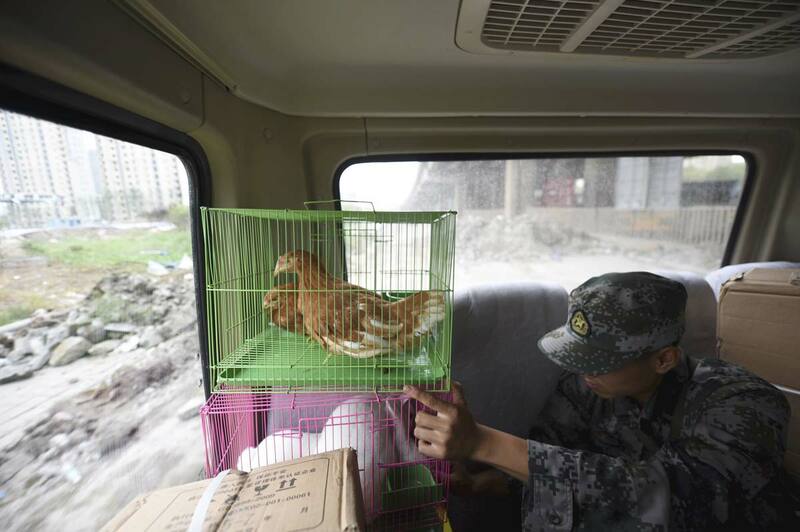 "After the first licence expired, we applied for an extension," it quoted Yu as saying. 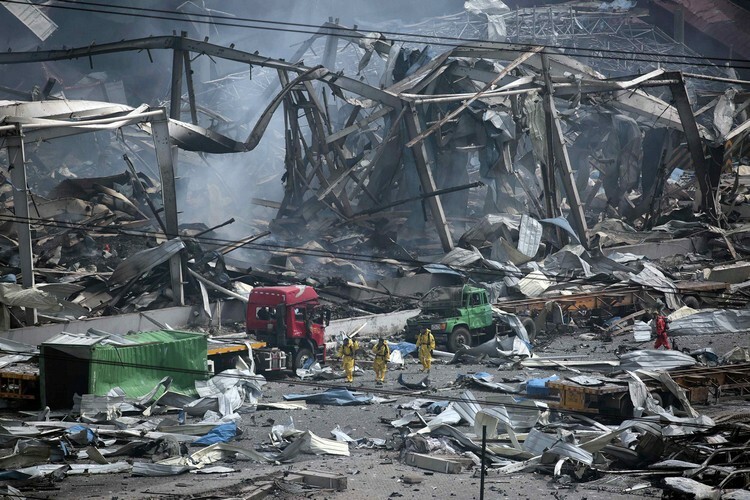 "We did not cease operation because we did not think it was a problem. 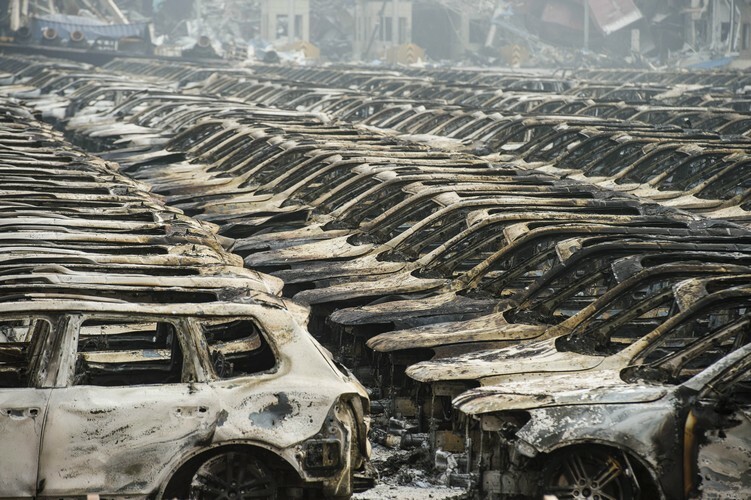 Many other companies have continued working without a licence." 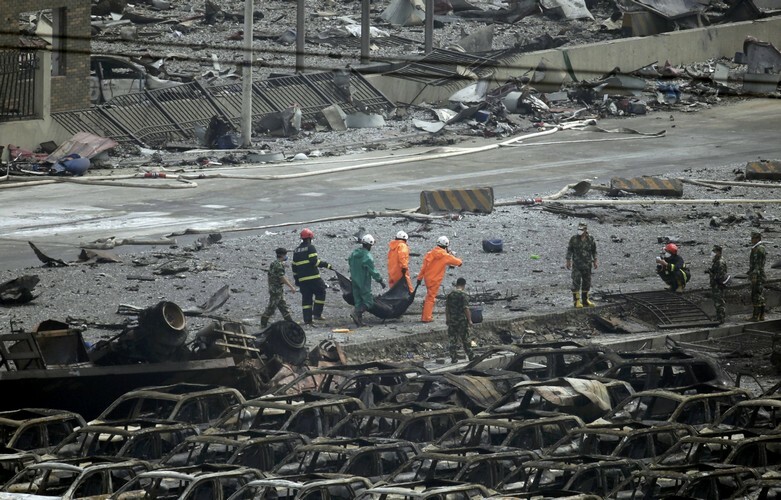 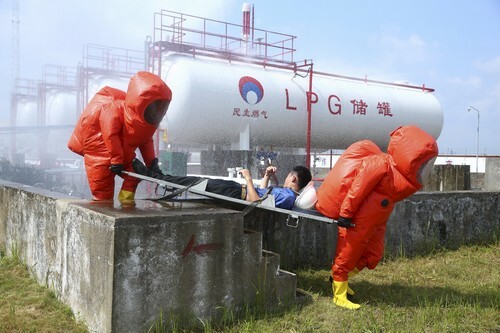 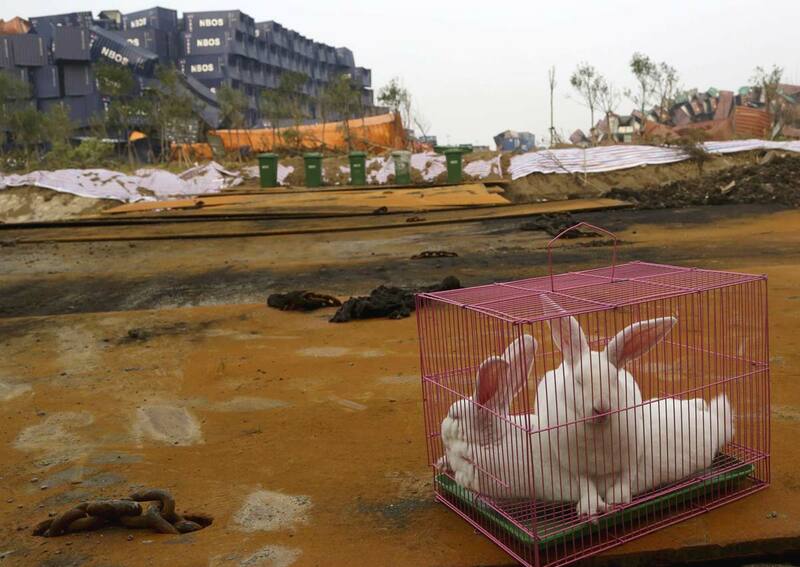 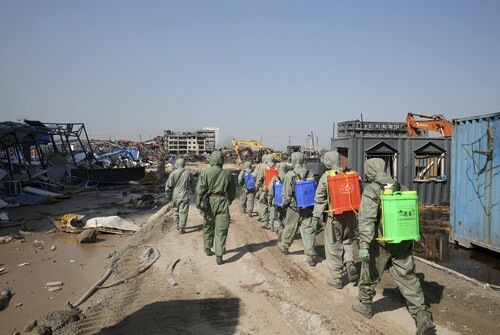 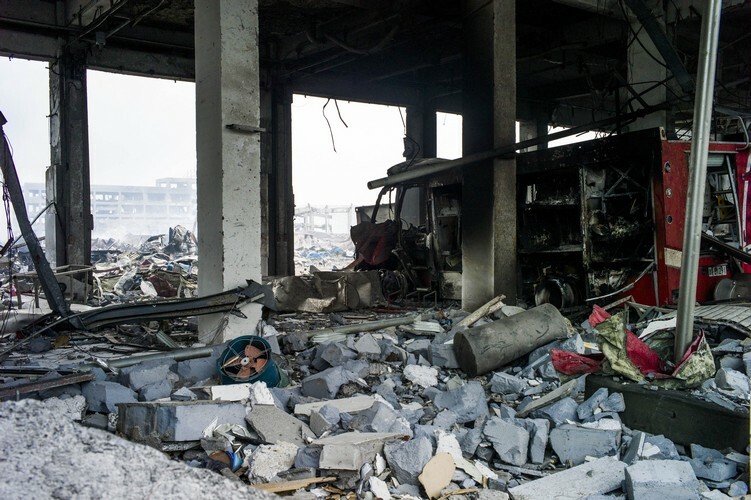 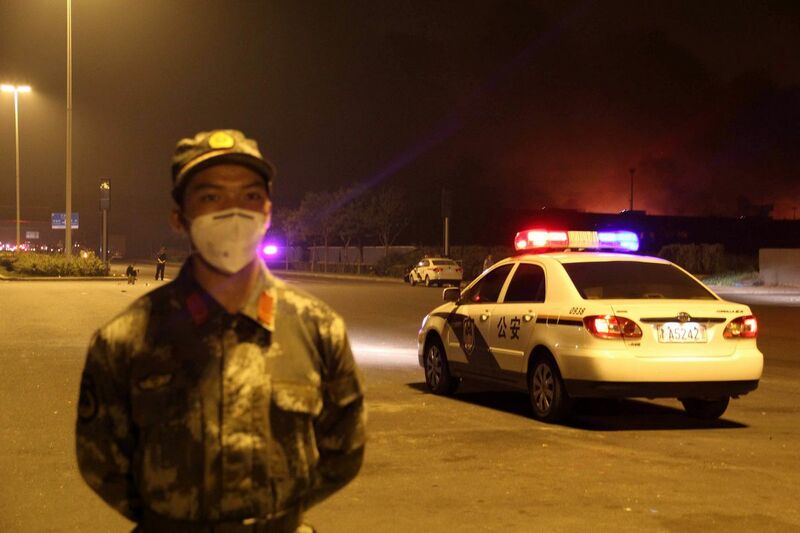 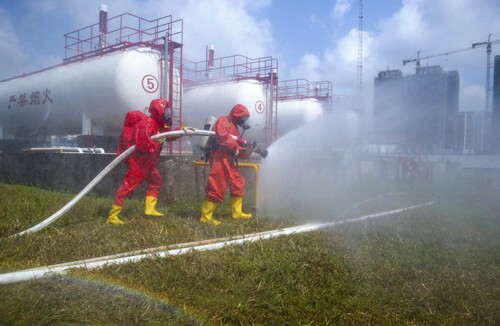 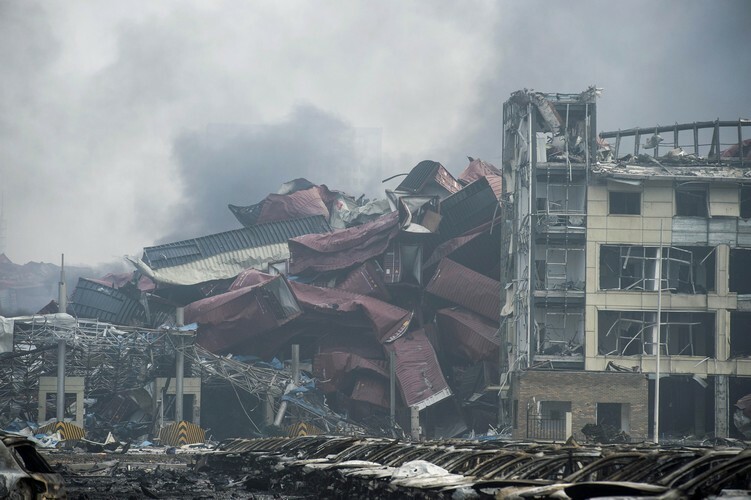 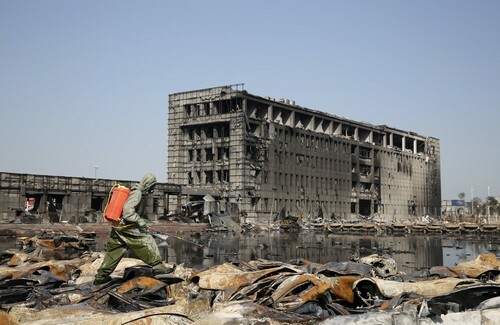 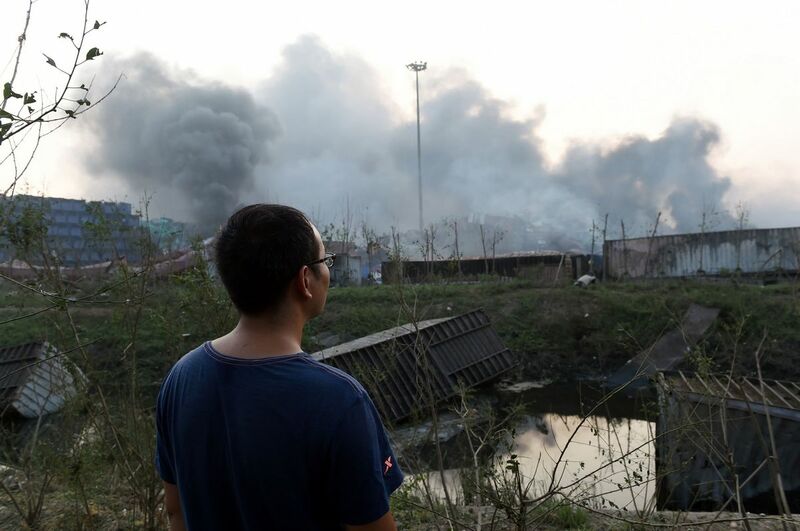 Sinochem has two hazardous chemical warehouses near the site of last week's blast, according to Greenpeace. 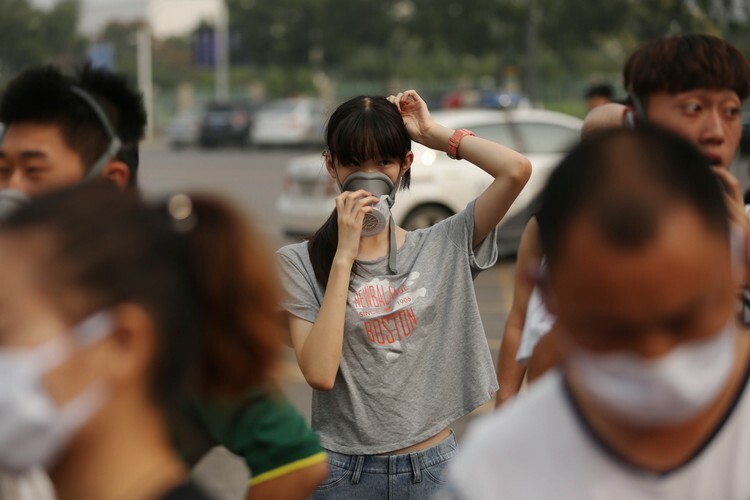 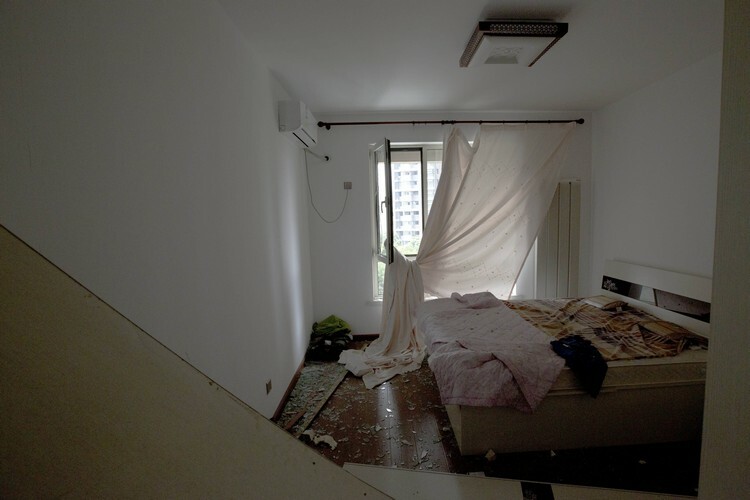 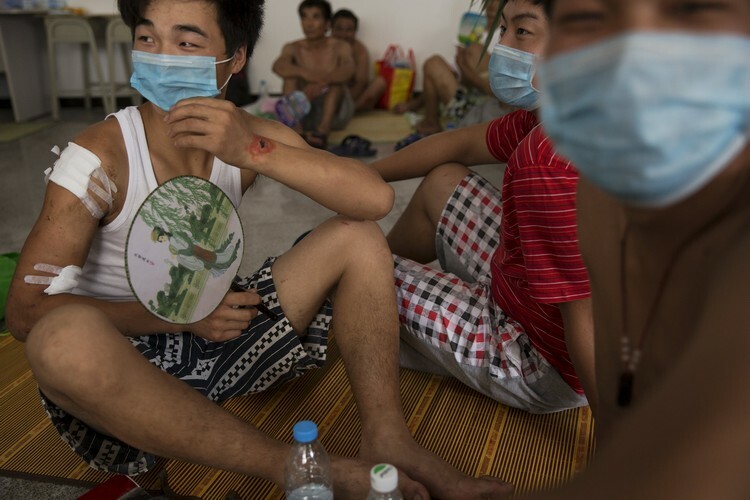 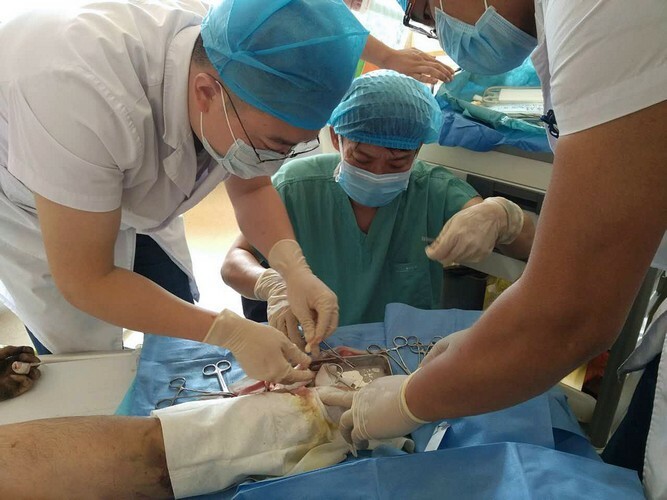 It said both violated Chinese law requiring such facilities to be at least 1,000 metres from public buildings, major roads and residential units. 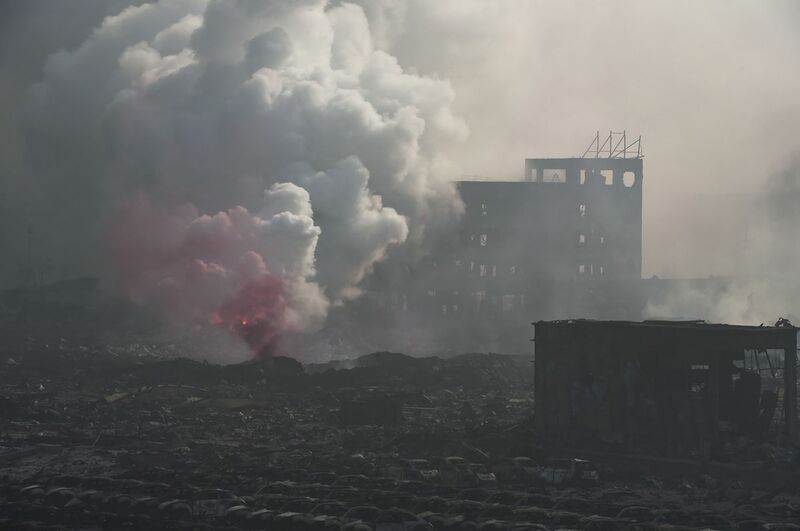 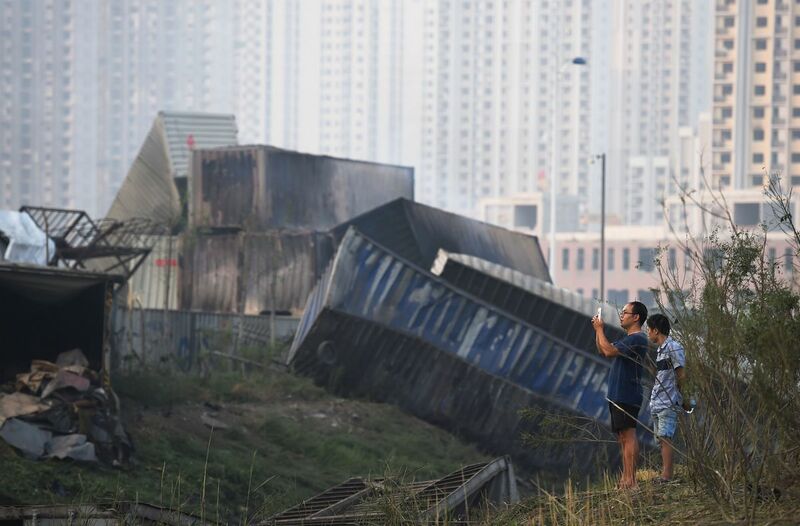 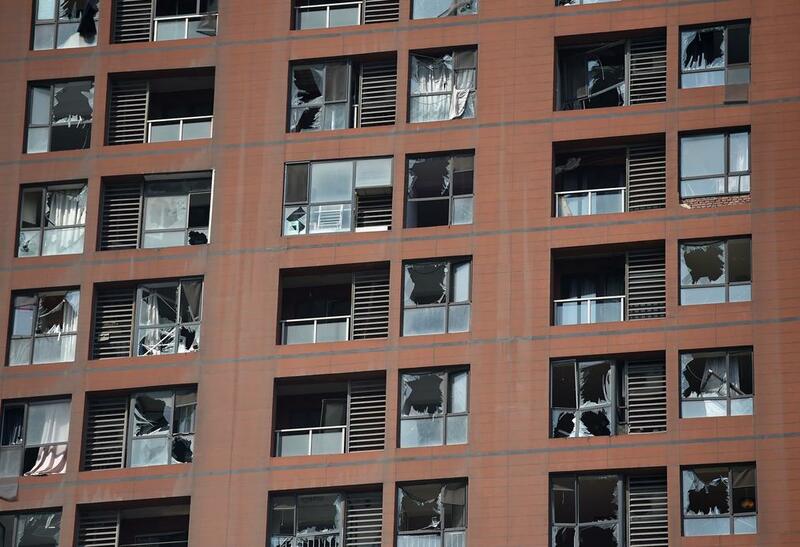 The Rui Hai warehouse violated the rule, state-run media previously reported, and Xinhua said Wednesday there were housing blocks and a train station within 650 metres of it. 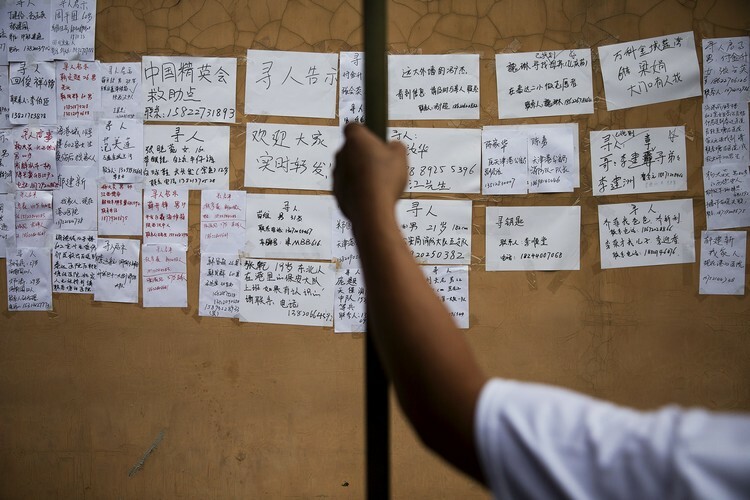 Dong and his partners found an appraisal company that ignored the facts, the news agency said. 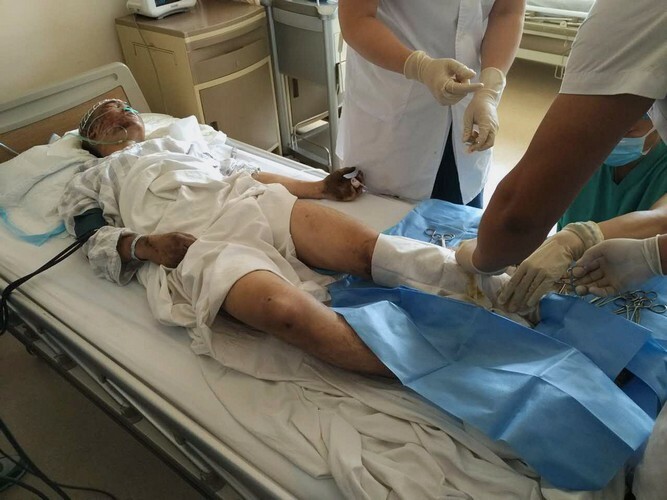 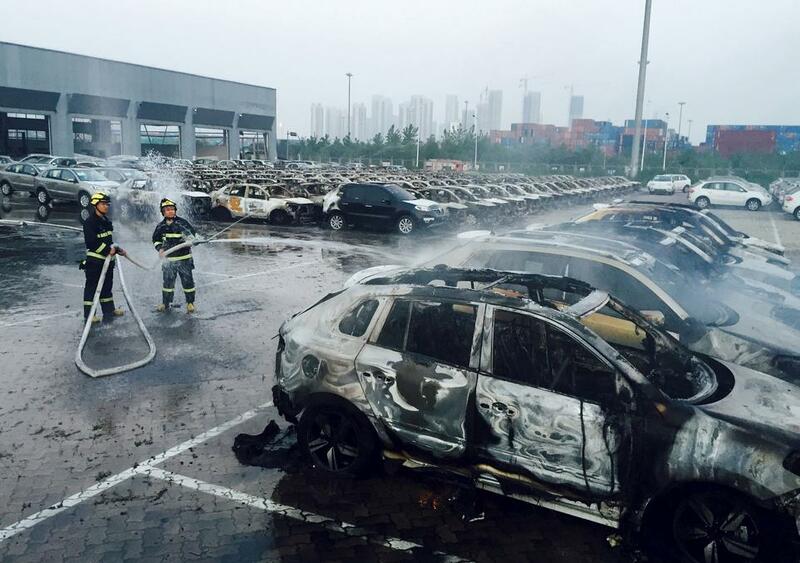 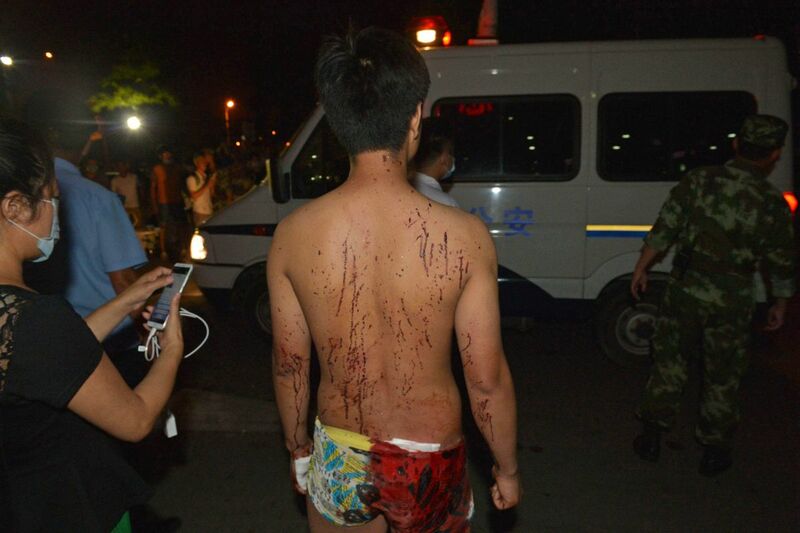 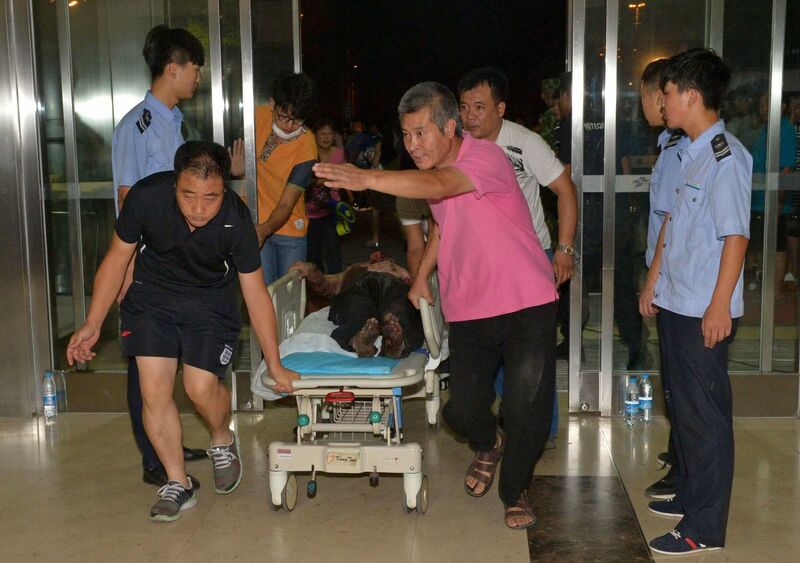 Tianjin Mayor Huang Xingguo on Wednesday took responsibility for the accident on his watch. 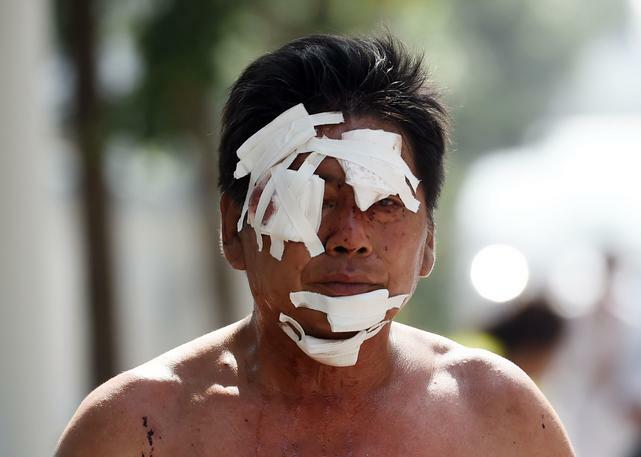 "I have leadership responsibility that cannot be shirked," he told a news conference. 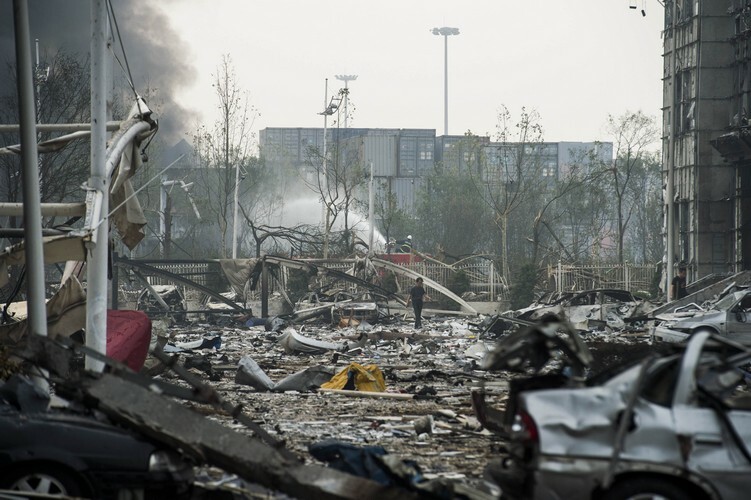 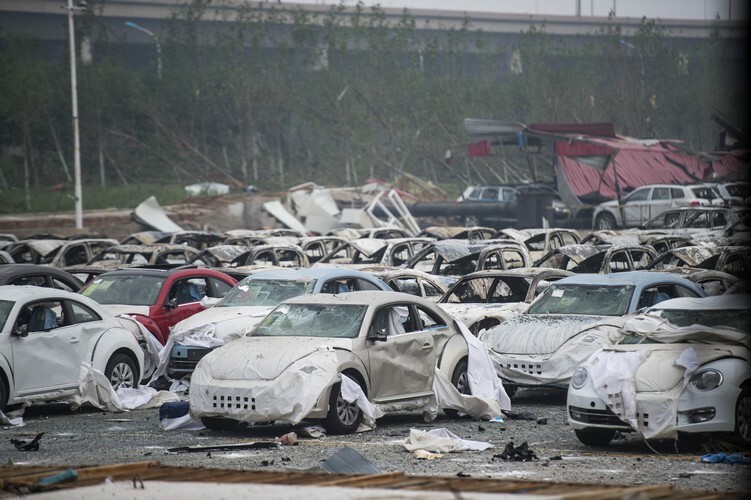 A corruption investigation into the head of China's work safety watchdog has also been announced in the wake of the blasts.